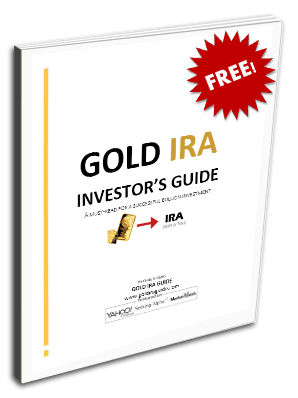 Gold IRA Guidebanks What happens when governments run out of money? What happens when governments run out of money? Unsustainable debt levels, both public and private, are becoming one of the dominant characteristics of life in the 21st Century. Levels of indebtedness have become so severe that nearly every nation is technically insolvent – unable to repay their existing debts, and reliant on issuing an increasing amount of debt in the future just to repay interest expenses on existing debt. If the whole process sounds nonsensical, it's because it is. The median income in the United States of $53,000, for those lucky enough to get it, doesn’t stretch very far in the face of soaring rent, education, and medical costs. For most families trying to make their way, savings are a luxury they often can’t afford. In fact it is estimated that 25% of Americans have no form of savings at all, with many forced into increased levels of debt just to pay existing bills. Income inequality is at an all time high and is one of the clearest signs that the current financial system is causing massive distortions within the economy at large. The government's financial position is in no better shape. The US national debt currently stands at just over $18 trillion, or roughly, $56,000 for every man, woman, and child currently living in the United States, or $154,000 per tax payer! This level of debt is obviously unsustainable in the long run and poses several worrying questions regarding the future of the US economy. The deregulation of the financial services industry in the 1980s had a huge impact on ushering in a new era of easy credit. An industry once dominated by institutions adopting relatively conservative lending practices, were replaced by more aggressive banks, armed with more aggressive lending models. The consequent explosion in consumer credit altered traditional spending behaviour of individuals. Where families once saved for big ticket items, they could now reap the rewards of instant gratification through their newly issued credit cards. Under this new regime, the banking sector grew at an astonishing pace, generating outlandish profits and entrenching the fast money culture that has become so dominant within modern society. The government was also a huge beneficiary of this new easy credit regime.There is only one problem with this – at some point the money runs out, and at some point somebody starts demanding to be paid. There are obvious signs all over the world that we are fast approaching a significant test of the prevailing debt fuelled system of economic growth. Greece is on the brink of defaulting on its obligations to various creditors, following years of crippling austerity and hardship for the population at large. When Greece goes, other heavily indebted nations within the Euro area are likely to follow suit. Spain, Portugal, Italy and Ireland are all facing similar debt crises to those of Greece, only on a much bigger scale. Once a significant portion of Europe is in financial duress, similar questions will start being asked of the Euro core nations, the UK, and eventually the United States. Greece’s case provides some disturbing insight into what the fallout from these government defaults will potentially look like as they occur going forward. To cut a long story short, while rampant speculation by large banks may have been the biggest factor in pushing the world’s economies into an enormous insolvency hole, it will be individuals and savers who will be charged with digging it out. Greece’s primary creditors in the EU are already preparing to impose capital controls should a deal fail to materialize which satisfies the interests of all parties. Capital controls will likely be the first step in part of a wider account seizure in preparation of a one off “Wealth Tax” as implemented in Cyprus. Pension funds will also be high at risk of being raided as part of any debt deal between Greece and its creditors along with increased VAT tax on essential goods and services. The Greek population will be forced to suffer for the speculation and malinvestment of large banks in Europe and the United States. The increased digitization of individual's personal finances in the form of bank accounts, online brokerage accounts etc, mean they are highly vulnerable should there ever be a Cyprus style confiscation event on a larger scale. Faced with this situation, savers need to realize the importance of diversifying their portfolio outside the reach of the conventional financial system – precious metals are a great way to achieve this, and there are a variety of ways to allocate a portion of your portfolio to precious metals, including for your retirement via a Gold IRA, as a means of keeping your funds safe from would be “bail ins”. While widespread defaults by sovereign nations may seem a remote possibility at present, the underlying problems of unsustainable debt are not going away, and the threat from these types of “confiscation” events are likely to increase going forward. Throughout history, when debt crises occur it is always the people who shoulder a disproportionate amount of the financial distress, and there has never been a more pertinent time to take true responsibility of your own finances.